Kenneth May is a certified cybersecurity professional. He and his team offer services such as Advanced Vulnerability Assessments, Network Penetration Testing, Web Application Penetration Testing, and a wide array of compliance services covering HIPAA, PCI, and the various NIST & DOD requirements. Ken is a Community mentor for SANS, the largest Cybersecurity certification preparation company in the world, and carries both the GSEC and GPEN (Certified Ethical Hacker and Penetration Tester) certifications. He has recently been accepted into the FBI’s Infragard program, as a recognized protector of critical national infrastructure. This program gives him deep access to information and resources to protect his clients. 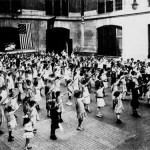 Why are these children "sieg heiling" the American flag? 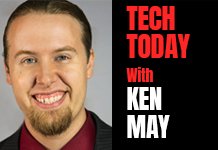 © 2017 Tech Today with Ken May. All Rights Reserved.